Don’t over complicate it! Though the social media landscaping is constantly changing, the overriding premise remains the same. Give people what they actually want. Not what you want to give. Too many video marketers focus countless energy and effort on creating the illustrious viral video. Hey, I’m OK with big dreams, but meanwhile, how about putting some energy into the low hanging fruit and build your business and brand? Who cares if a gazillion people see your video? If it doesn’t bring in clients, congratulations, you have a cool number to brag on, but that does not pay your payroll of mortgage! Your competition is not a video that shows a dad getting hit by his son in the groin with a wiffle ball bat. Go for potential customer views and get them to want more of you and your insights. If you are using video to market, then you need to get in front of the right potential viewers. People who need the service you have. 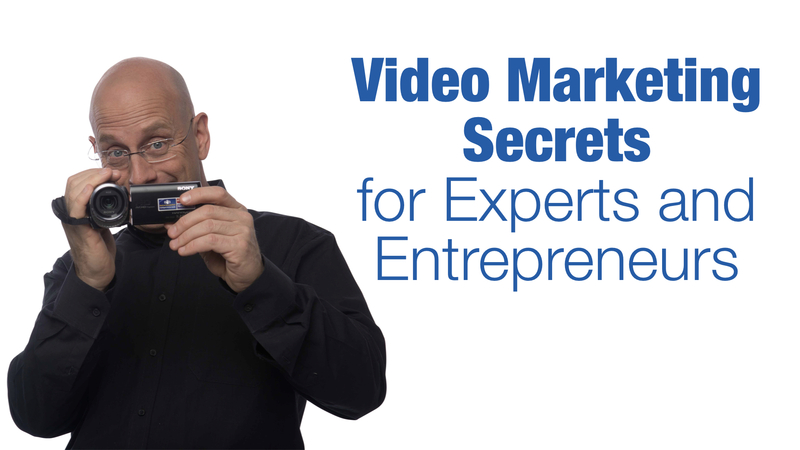 Video marketing also allows you to position yourself as the expert while building rapport. Rapport is built when you help people with what they are already searching for. What to they want? Answers. They want solutions to their challenges. Have you ever searched for a “how to” answer on YouTube? So do your potential customers. Over 3 billion people search daily on YouTube. Most of them aren’t your customers, but some of them are. If they are your potential customers and they’re searching for solutions, if they don’t find yours, they will find your competition’s, Darrenteed. What are they looking for? Here is the cool part, YouTube tells you. It’s pretty simple actually. It’s been right there in front of you and you may have missed it. YouTube has a search box and as you start typing YouTube fills in the top searches on the most highly searched keywords. So, reverse engineer what your potential customers are looking for. Also, get clear on what problems your company helps solve. What do people in your market need help with? Even if their problems are not directly related to your specific product or service, helping them will create good will and brand recognition in their mind. We like people who help us. When trust is built, buying is not far away. This will always vary a bit, but try it and see what happens. Now, some of these are not my market. Kids writing a speech for school are probably not going to purchase my programs on how to create an unforgettable presentation. But, I would have never dreamed someone searched “How to write a speech about yourself.” Wow. OK, so I make at least two videos helping people with that challenge. There is a lot of competition on, “How to write a speech.” There is much less competition using the longer phrase keywords, “How to write a speech about yourself.” So, when I create the video and prepare to upload it, I use the keywords “How to write a speech about yourself” as the title, in the description and in the tag. Think about what YouTube’s job is. They are there to connect the searcher with the best video for their search. The better they do this, the more people will stay on YouTube, the more ad revenue they will generate. Keep your videos as short as possible while delivering the answers they are searching for. My philosophy is: one video, one answer, one next step. Done. Next video. It is important at the end to let people know where they can learn more from you. If it is so simple why aren’t more people doing it? Two simple words, ego and procrastination. Ego, they are more concerned with looking good than helping people. They want the video to be perfect. There are many poor perfectionists in this world. No one will ever buy from you based an idea on in your head or sitting on a hard drive. Here is the coolest part, people want you real and authentic, not perfect! The other problem is procrastination. Enough said. Ten years ago, I hired a marketing mentor to help me build my business. He told me I needed to get on YouTube, my response was, “What is YouTube?” It was not a household name back then. I put three videos up and told him I was done! He said, “No! You need to put a video up every day.” Everyday? Yikes. I failed at doing one a day, but I do have over 1,400 videos, 15,000 subscribers and 3.3 millions organic views. The key was consistency. When you are consistent, you gain ability. My original videos were horrible. The content was just OK, my lighting was horrible and my sound sucked. Here is the cool part, I figured it out along the way to 3.3 million views and I get orders every week thanks to the right videos with the right keywords. Subscribe to my channel and model what I do. Think about this. Was this article helpful to you? If you chose to do more video marketing would you be more or less likely to search me out for more insights? Go help people. That’s going to build your brand and your business. Previous Post Darren’s God Blog: Does God Hear Me? Why is He Not Helping Me? Next Post Be a Sponge: 5 Brilliant Insights from Rudy!